My mother keeps receiving "Balance Due" notices for services covered by her medical insurance. How can we determine what we really owe? If you believe the denied claim is a covered service, call the insurance carrier and discuss it. The claim may be in their system for payment (it can takes months for Medicare or private insurance to pay a claim), the service provider might have used an incorrect code, or even filed with the wrong insurance company! Get the information, call the service provider, explain the error, and ask them to refile. Sometimes you may owe part or all of the balance, but you may also be totally covered. Keep advocating—reversing denied claims can save thousands of dollars! 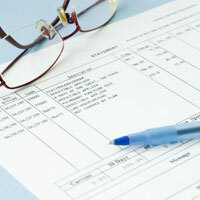 Was Dad Intentionally Overcharged for Dental Care?